FORAN - A syrup based vitamin, mineral and amino acid supplement - 1, 5 or 20 l.
Suitable for all horses: especially performance horses and horses recovering from illness. 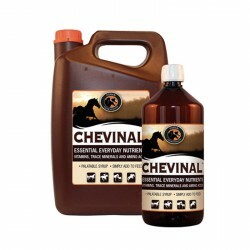 CHEVINAL is ideal for boosting nutrient intake in performance horses. Horses in competition or training have elevated nutrient requirements and will benefit from a correctly balanced diet along with a boost of vitamins and minerals. Stress is a natural response to increased workload, traveling and competition or racing. It often effects appetite and so reduces necessary nutrient intake, CHEVINAL helps by providing necessary nutrients. Recovery is equally as important and additional nutrients will help with muscle recovery, re-building of condition and maintaining overall immune function. 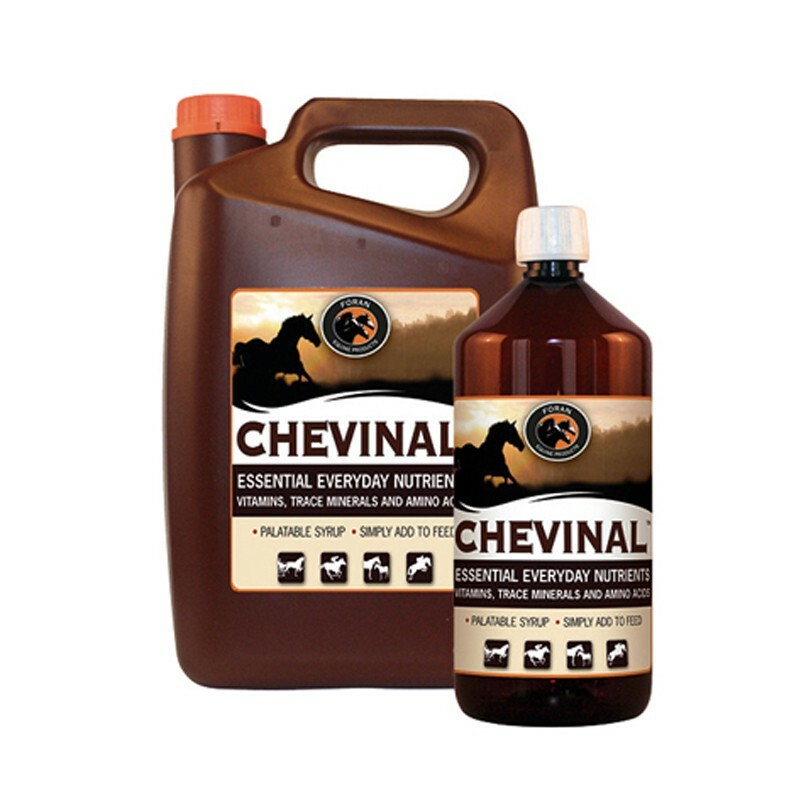 CHEVINAL can be used for horses recovering from illness where appetite can be affected. As with stress an illness is often accompanied by reduced appetite at a time when a well balanced diet is needed. CHEVINAL syrup is an easy way to assist recovery. Easily used to boost an existing balanced diet or top up requirements at times of reduced dietary intake. CHEVINAL can be used to balance out a diet of forage or concentrates as necessary.